Not every day that one stumbles into someone who is eerily similar to yourself. Well, Roger Taylor is a man who is ‘doing it’ in his Junk Rigged Corribee named Mingming with several Atlantic crossings including the Jesta Challenge and the Azores and Back. 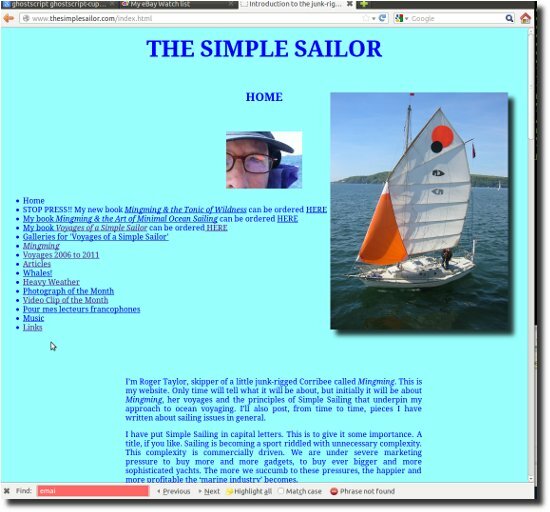 Roger has made several youtube video’s of his ocean sailing in a 21 foot boat, together with his thoughts, experiences and views of the world. Its worth a nautical read.